Toronto-based author Vincent Lam has won the Giller Prize, Canada’s richest and most prestigious literary award, for his book of linked short stories, Bloodletting and Miraculous Cures. The $40,000 Giller Prize was handed out at a gala hosted by Justin Trudeau in Toronto Tuesday evening. Vincent Lam, author of Bloodletting and Miraculous Cures, says he wanted to be a writer but went into medicine so he would have some life experience. Lam, 32, who is an emergency room physician as well as a writer, said he was “astonished” by the win. “Luck is not what it seems and most of it falls into the category of divine blessing or people who have been kind to you,” he said in an acceptance speech that honoured his publisher and writer Margaret Atwood. Atwood has been a mentor and advocate for Lam and introduced his book during the ceremony. 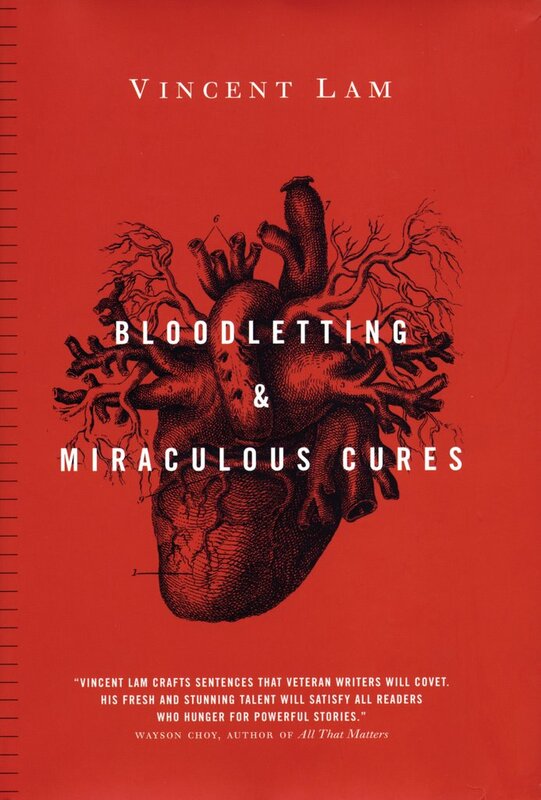 Bloodletting and Miraculous Cures is about medical students and young doctors, a world Lam was immersed in when he started writing the book, a year after finishing his residency. Bloodletting and Miraculous Cures is his first book of fiction. His debut novel is due out in 2007. I just like its cover. Way cool! Congrats the author, too. That’s quite a nice award.